Not only is this soup easy and flavorful and light and hearty all at the same time ... it's even better made the day before and reheated. Chock-full of seasonal vegetables, this healthy beef and barley stew recipe nourishes body and soul an a chilly evening. I can't tell you how much I love this salad. 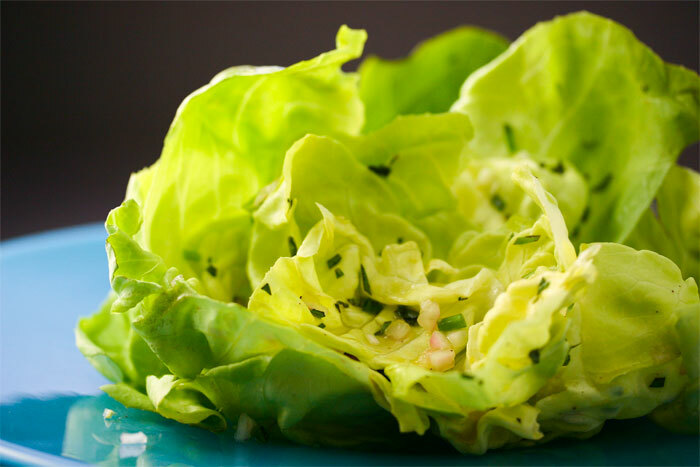 Butter lettuce has a delicate, sweet crunch to it, and its crevices catch the nubbins in the vinaigrette perfectly. 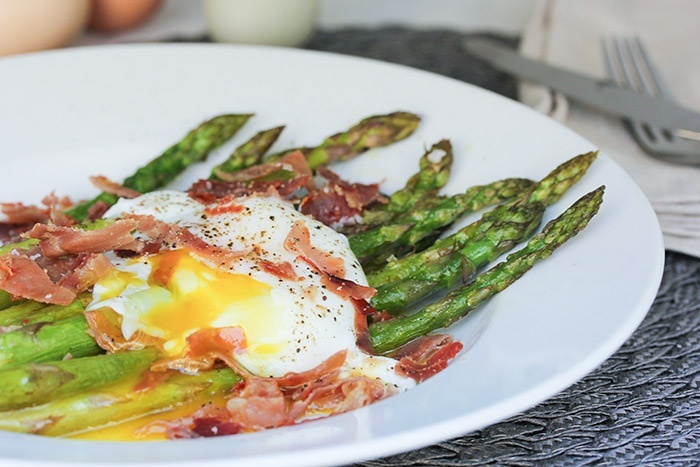 It's crazy simple, and it's the perfect accompaniment to Frittatas, Soft Scrambled Eggs, Simplest Roast Chicken, Crispy Curry Quinoa Cakes ... you name it. Take that name to mean anything you please ... whether you make this soup out of chicken stock, turkey stock or vegetable stock, you can bet it'll be scrumptious. What elevates this above a standard chicken (turkey ... veggie) noodle soup are the copious amounts of carrots and celery, the beefy lentils, and the fun little topping of sauteed root veggies and sausage. 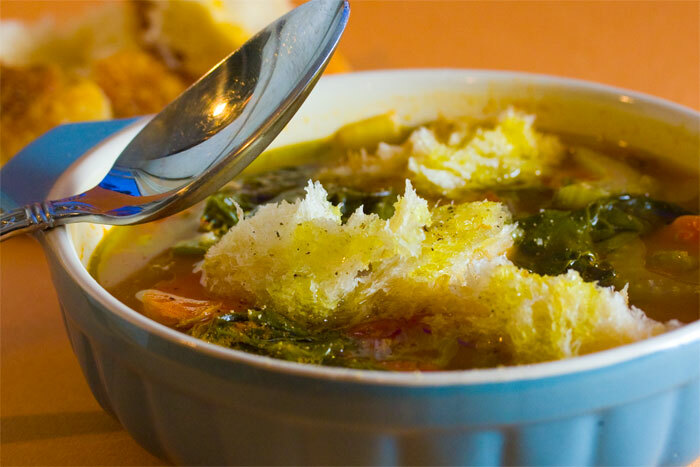 PS - you can make this vegetarian and still have a super hearty soup. 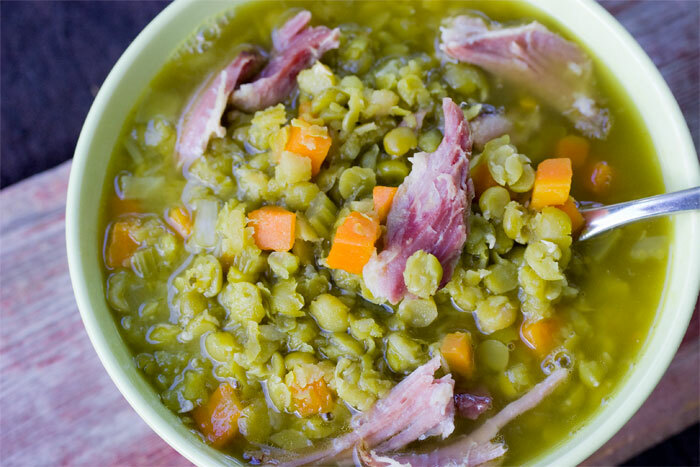 If you've got a leftover ham bone in the fridge (or if you can talk your butcher out of one), this is the soup you want to make. And, trust me, take the extra hour to make the Awesome Veggie Broth from scratch ... it's worth it. 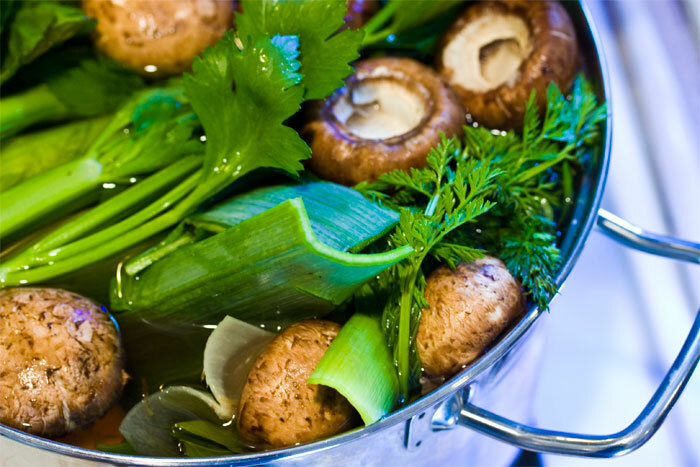 Make this awesome veggie broth any time you've got a bunch of scraps in the fridge or cluttering up the counter. 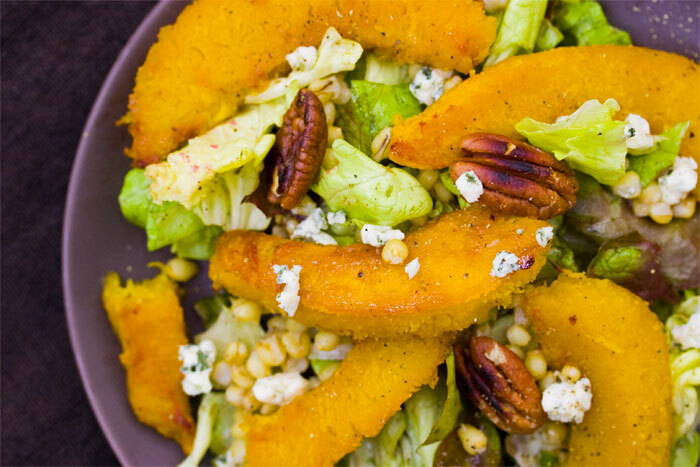 Amazingly easy, and so full of flavor. 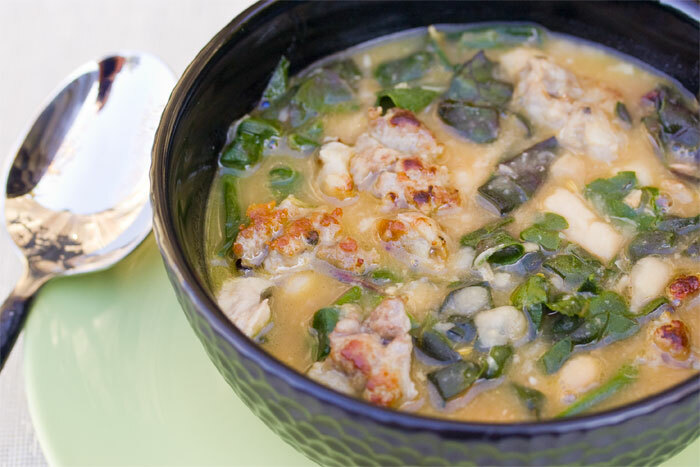 Perked up with garlicky Swiss chard and Italian sausage, this hearty, fast and easy white bean soup recipe is ready in less than 30 minutes. This entree salad of maple-drizzled acorn squash, hearty wheat berries, toasted walnuts and blue cheese is the essence of fall. 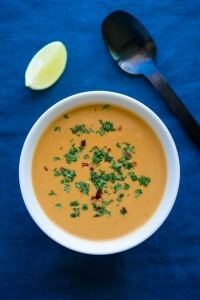 Peanuts and sweet potatoes make a great pair in this warm, golden sweet potato soup. 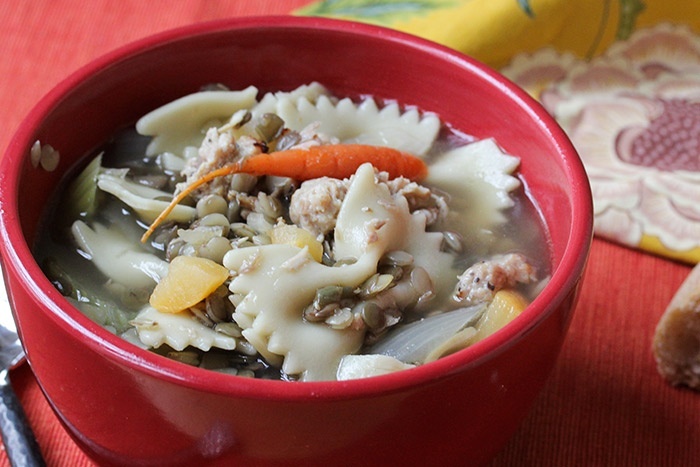 Although the flavors are complex, this soup is easy for a healthy midweek dinner.